Tesco, the world’s third largest retailer, will this week formally sign an exclusive partnership with Dubai-based supermarket chain Choithrams, sources have confirmed. The partnership will be officially announced at a press conference in Dubai on Wednesday and will pave the way for Tesco-branded products being exclusively sold in Choithrams’ 31 stories across the UAE, a source told Arabian Business. In late 2012, Choithrams, which also has operations to Bahrain, Qatar and Oman, announced a major expansion plan to open 32 new outlets across the Gulf by the end of 2014. 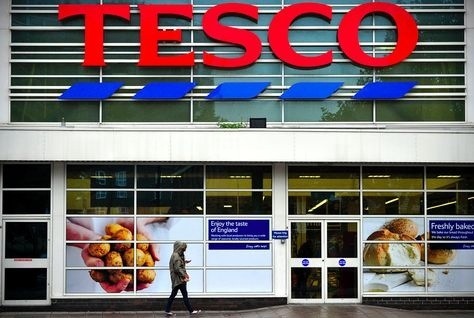 Tesco, Britain’s largest supermarket chain and third globally behind Carrefour and Wal-Mart, is looking to boost its bottom dollar after earlier this year reporting a second year of falling profits. Tesco, which has a market valuation of £23bn ($38bn), has 530,000 staff and 6,351 stores worldwide, has suffered on several fronts in recent years. Overseas, failed attempts to break into the United States and Japan and troubles in China and Europe have proved a distraction to its home market, where it still makes over two-thirds of sales. Alongside a 6 percent fall in annual group trading profit announced in early April, Tesco took a £734m write-down on the value of its European businesses, where trading has slowed, and a one-off charge of £540m pounds in China. That puts charges and write-downs for its overseas forays at close to £3bn in two years. Trading profit for the year to February 22 was £3.3bn, in line with analysts forecasts, Reuters said. Overseas, group trading profit was down 5.6 percent in Asia and down 28 percent in Europe, with a slump in trade in the Czech Republic, Hungary, Poland, Slovakia, Turkey and Ireland. Group underlying pre-tax profit fell 6.9 percent to £3.05bn in the year, and according to Reuters data will fall 5.8 percent to £2.87bn for its 2015 fiscal year. Posted on April 29, 2014, in #middleast, #retail, #uk. Bookmark the permalink. 1 Comment. I’ll right away grab your rss as I can not to find your e-mail subscription hyperlink or newsletter service.